Globally as well as locally, mitigating and adapting to climate change is one of the central challenges of our time. GW was the first university in Washington, D.C. to join the American College and University Presidents’ Climate Commitment (ACUPCC) in 2008. In 2010, the university published its Climate Action Plan in which it committed to becoming carbon neutral across all three scopes of greenhouse gas (GHG) emissions by 2040. Capital Partners Solar Project is an innovative renewable energy project that provides solar power for GW, American University and the George Washington University Hospital (GWUH). It is comprised of 53.5 megawatts (MW) of solar photovoltaic (PV) power. 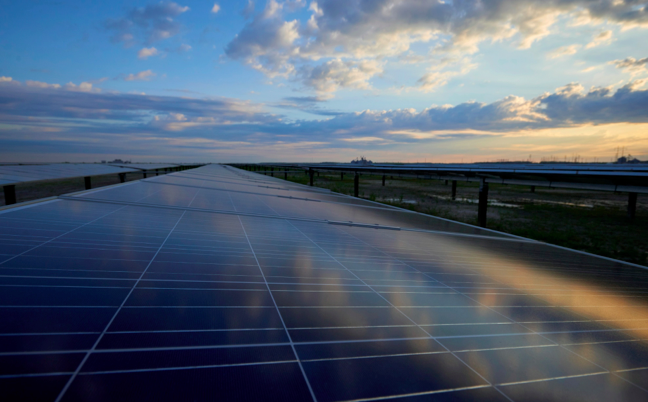 This project demonstrates how large organizations in an urban setting can partner to significantly reduce their carbon footprints by purchasing offsite solar energy. Supplied by Duke Energy Renewables, the solar power helps all three institutions reduce their carbon footprint significantly, abating approximately 84,900 metric tons of carbon dioxide equivalent (MTCO2e) compared to conventional electricity. This is equivalent to taking roughly 17,900 cars off the road. In addition, the project will yield economic savings for each institution as the price of traditional power is expected to increase over the duration of the 20-year project contract. Designed and facilitated by CustomerFirst Renewables (CFR), this project is a model for other urban institutions that want to meet their electricity needs using renewable energy. The groundbreaking for the first site located in Pasquotank County near Elizabeth City, NC took place in summer 2014 and the project began to deliver electricity in full by the beginning of 2016. GW has launched four large energy and water efficiency projects known as the Eco-Building Program. The Eco-Building Program has been installing more modern and efficient equipment in selected buildings to reduce energy and water use, operating costs, and greenhouse gas emissions. These initiatives include: more efficient use of potable water; upgrading old HVAC equipment like boiler controls, chillers, and air-handling units; adding new HVAC equipment like variable-speed drives and variable-air-volume boxes; retro-commissioning older HVAC equipment; and installing more energy-efficient lighting and controls. These projects are being developed using a holistic view of savings opportunities across campus. Phase 1 focused on the Gelman Library block of buildings. Phase 2 focused on the Lisner Hall block of buildings. Phase 3 focused on Rice Hall, Marvin Center, and Funger and Duquès Halls. Phase 4, which is about to begin, will include four buildings at the Virginia Science and Technology Campus. GW’s focus on sustainable buildings began in 2007 when the university pledged that all new buildings would meet the LEED Silver standard or better. Ten years later, GW has made good on the commitment: There are 12 LEED-certified buildings and three LEEDcertified interiors on its campuses, including 12 Gold and one Platinum level. These projects incorporate energy- and water efficient equipment, green roofs and rainwater reuse systems, among other sustainable features. 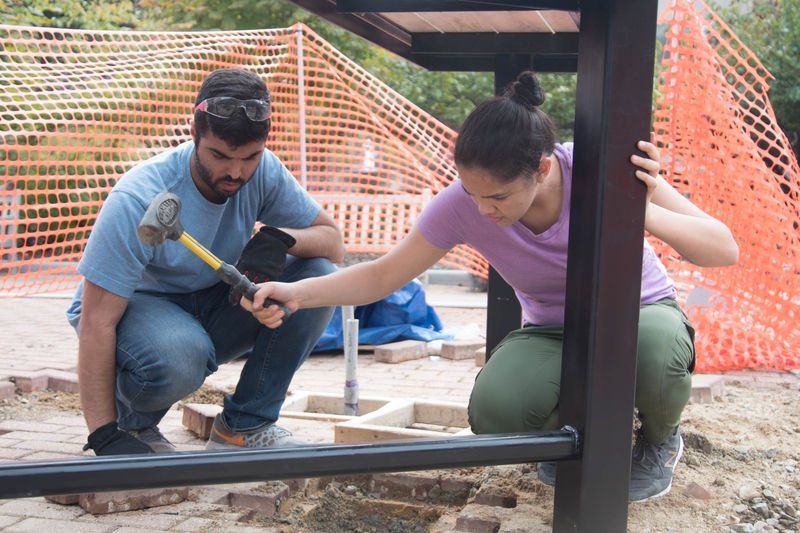 The GW Office of Sustainability invited student innovators to participate in a design competition for a campus solar charging station sponsored by the GW Division of Operations to raise awareness around renewable energy on campus. The winning project, called Marisol, was designed, built, and installed by a team of interdisciplinary undergratuate students. The design, which incorporated themes of culture, artistry, and engineering, provides an opportunity for students to engage with renewable energy, first-hand, as they use it to charge their personal devices outside. 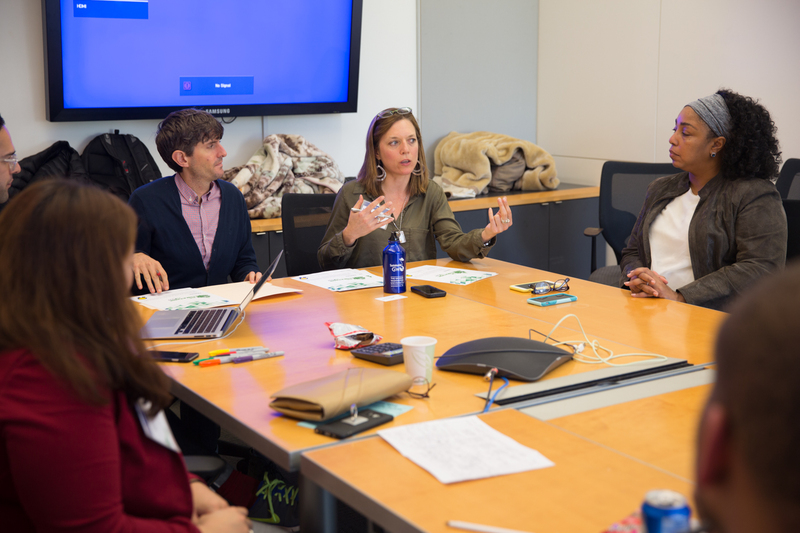 As part of a global movement to develop innovative solutions to cities' climate change challenges, GW hosts an annual 24 hour hackathon in partnership with DC's Department of Energy and Environment. 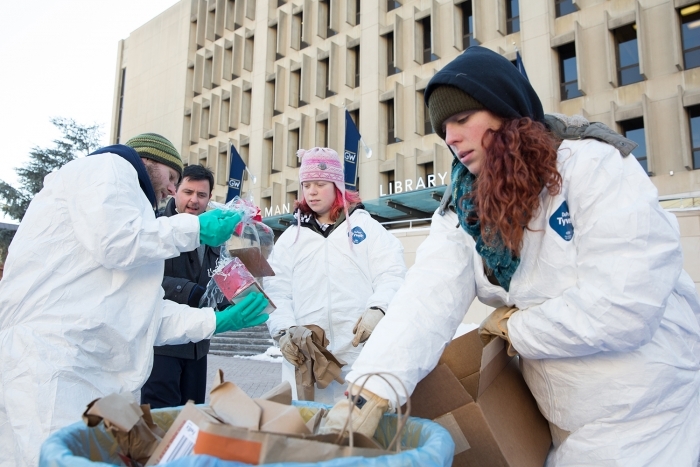 Students serve as green leaders in their residence halls and across campus. 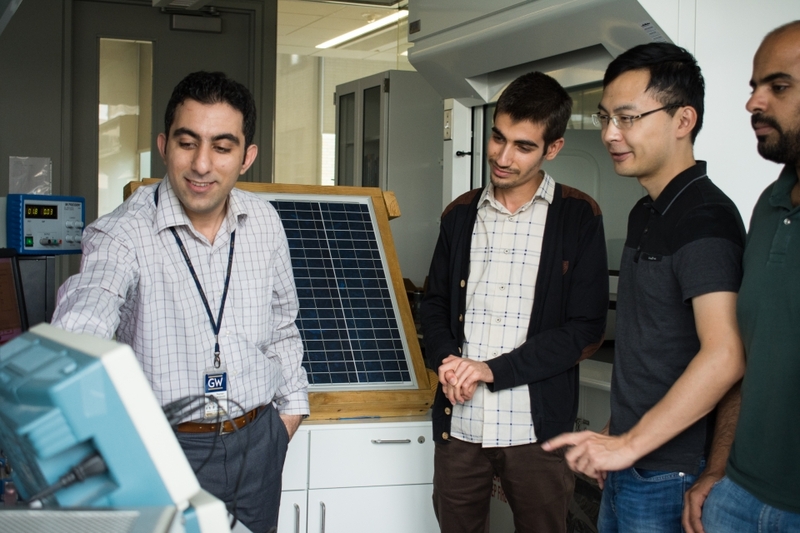 Through the Duke Energy Renewables Innovation Fund, interdisciplinary GW faculty teams can compete for grant funding to conduct energy-related research.